On June 30, 2010, the old South Park Bridge closed for good. 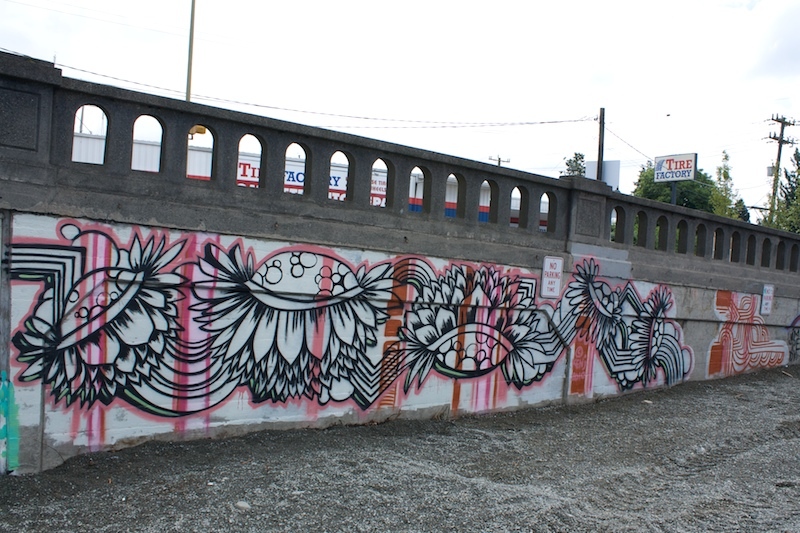 South Park Arts wanted our community’s loss to be a call for rebirth! 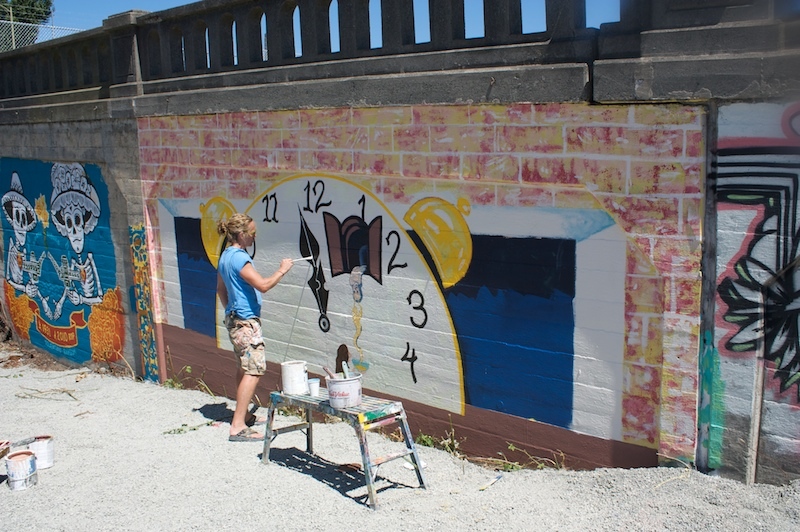 We invited muralists to cover the solid sides of the bridge during the South Park Bridge Wake, so that the community could watch its bridge transform from defunct infrastructure into a work of art. Thanks to 4Culture and ECOSS for their support.